Blueberry Terra Bites are the newest innovation in line of best-selling Terra Bites. Using a traditional 24-hour panning process, dried US-grown blueberries are dusted with cocoa powder, coated in white chocolate, then dusted with raspberry and blueberry powder. 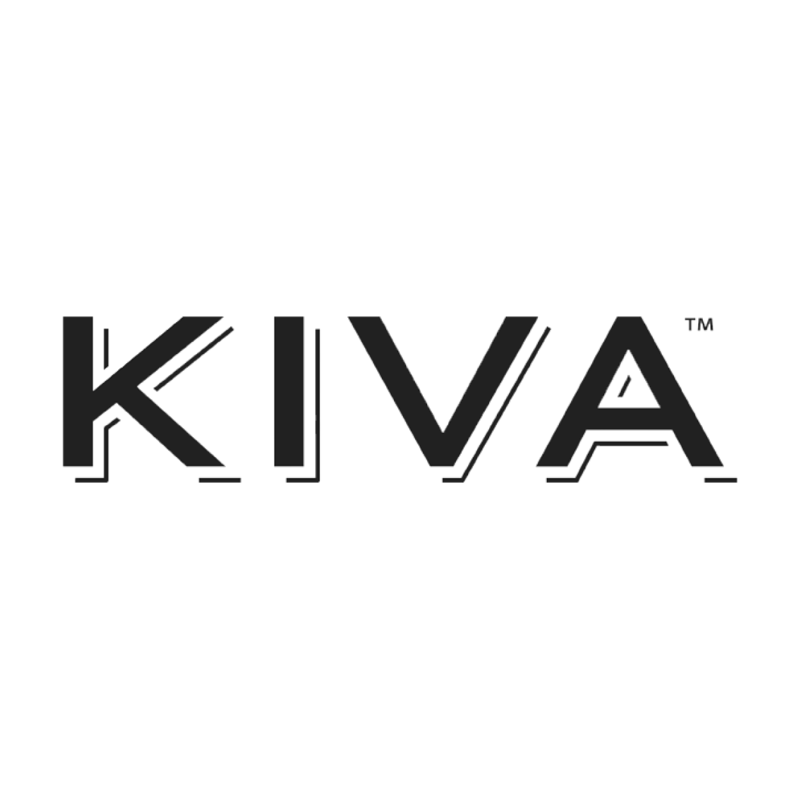 Finished with a generous coating of Kiva milk chocolate, each 5MG bite is polished to sweet, tart, irresistible, perfection. Ingredients: Milk Chocolate (Sugar, Cocoa Butter, Milk, Unsweetened Chocolate, Soya Lecithin, Pure Vanilla), Dried Blueberries (Blueberries, Sucrose, Sunflower Oil), White Chocolate (Sugar, Cocoa Butter, Milk, Soya Lecithin, Pure Vanilla), Cannabis Extract, Polish (Water, Gum Arabic, Sucrose, Corn Syrup), Natural Flavors, Freeze Dried Blueberry Powder, Freeze Dried Raspberry Powder, Confectioners Glaze, Cocoa Powder, Citric Acid. Milk Chocolate (Sugar, Cocoa Butter, Milk, Unsweetened Chocolate, Soya Lecithin, Pure Vanilla), Dried Blueberries (Blueberries, Sucrose, Sunflower Oil), White Chocolate (Sugar, Cocoa Butter, Milk, Soya Lecithin, Pure Vanilla), Cannabis Extract, Polish (Water, Gum Arabic, Sucrose, Corn Syrup), Natural Flavors, Freeze Dried Blueberry Powder, Freeze Dried Raspberry Powder, Confectioners Glaze, Cocoa Powder, Citric Acid. Kiva Terra Bites Blueberry Beans Marijuana Edibles Delivery in Los Angeles. Kushfly delivers curated selection of marijuana edibles and brands for Adult-Use in Los Angeles. 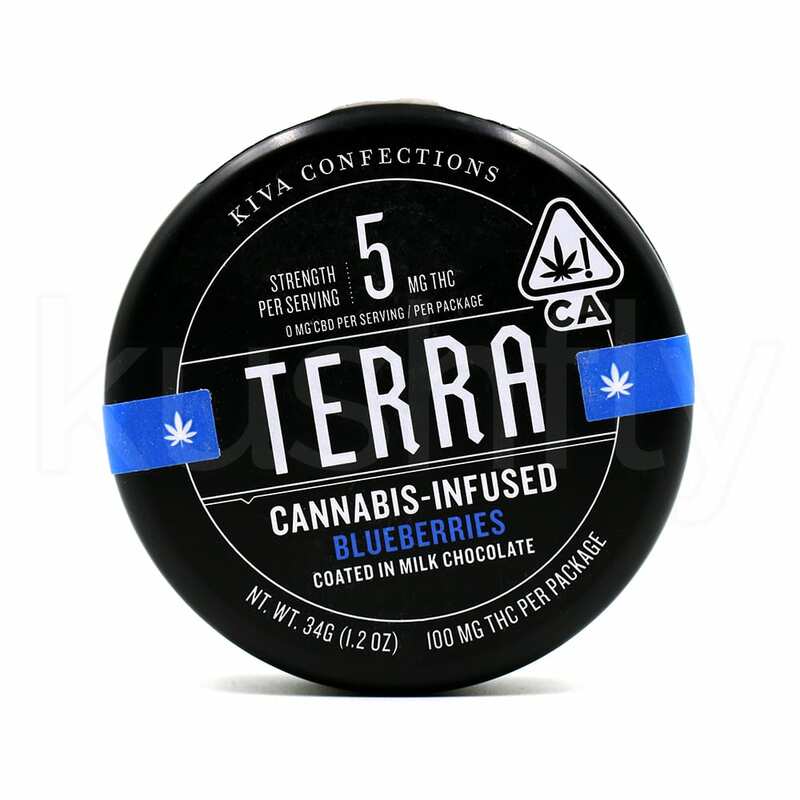 You can orderKiva Terra Bites Blueberry Beans delivery to your door in Hollywood, West Hollywood, North Hollywood, Studio City, Burbank and most cities in Los Angeles. These work very well as a sleep aid for me. I use 2-3 them to knock out on red-eye flights. 1 to just have a relaxed night at home. Taste great too!